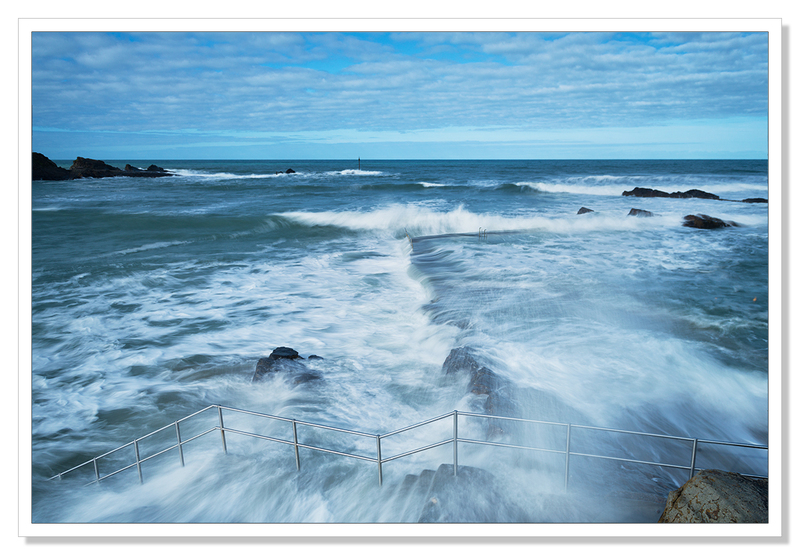 Bude and the North Cornish/Devon Coast.. I have just returned from a week of much needed R&R staying in a lovely barn conversion just outside Bude in North Cornwall with my good friends Poppy and AJ. Poppy is now blogging again with a shiny new photography and art blog so if you haven’t checked it out yet, follow this link. The north Cornish and Devon coast is rugged, the surf fantastic and as ever for me, a pleasure to visit. 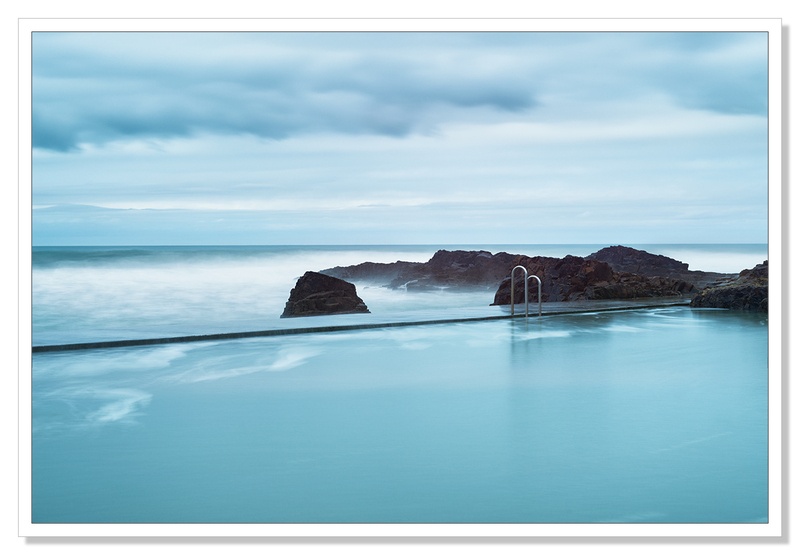 One particular feature of Bude is that it has a sea pool. The pools were constructed in the 20’s and 30’s for people to be able to enjoy a swim in the sea, without having to swim in the sea. 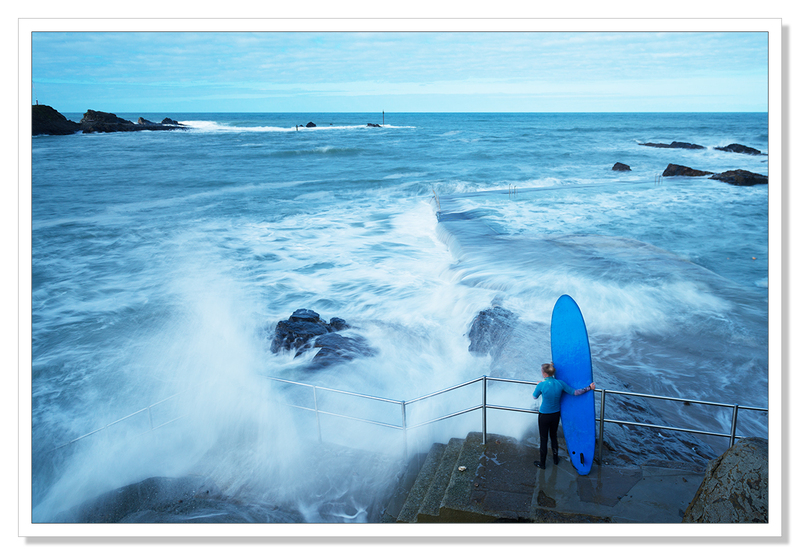 A safe environment without the waves and treacherous currents so much a feature of many Cornish beaches and coves. These pools cropped up all over the country but few now remain. The Bude Sea Pool has been restored with donations and fundraising and for both Poppy and myself, a sure fire subject for a photograph or two. The pool is replenished with fresh sea water at every high tide and it was high tide that was bound to elicit the best pictures.